The Law Offices of John M Alton Co, LPA serves clients in the Ohio area and is here to handle your amputation case today. I want to make sure that your current medical and emotional problems due to your accident are less of an issue in your daily life. You deserve peace of mind and relaxation after dealing with any serious amputation situation. You do not need the stress of additional bills piling up in your lap. I want to turn your problems into solutions in your daily life. Allow The Law Offices of John M Alton Co, LPA to show you how our services can benefit your personal injury matter today. The law allows Ohio injured victims to file lawsuits against individuals, companies or government entities whose acts or omissions cause harm. Matters of a amputation case can be resolved in court or through a settlement negotiation. The reality is that you should have an aggressive legal advocate representing your interests. 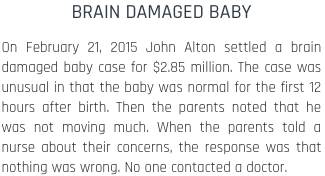 The Law Offices of John M Alton Co, LPA is here to help you now. I will offer my knowledge and experience to help move your case amputation case forward. I am here to fight for you. All claims of amputation matters are unique. Reasons may include different causes, parties or legal issues when it comes to recovering compensation. 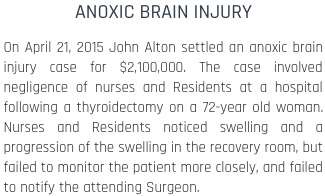 It is important that you hire a lawyer from The Law Offices of John M Alton Co, LPA who can help you’re amputation issue. I want to make sure that your amputation case and problems are resolved. 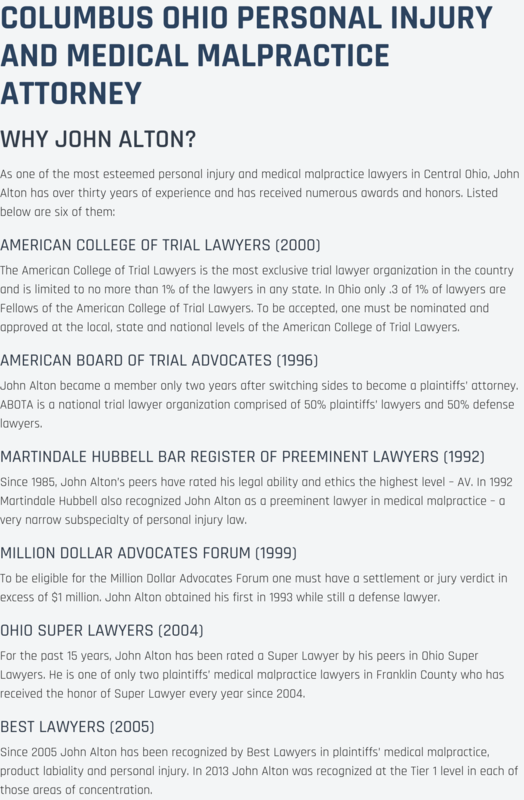 Here at The Law Offices of John M Alton Co, LPA, our lawyers in Ohio have experience handling various amputation cases. We can provide you with the help you need. Call us at (614) 221-6751. Also, feel free to visit our offices at 1071 S. High Street.